We detected the flooded areas using two Sentinel-1 images in IW mode before (2019.03.11) and after (2019.03.23) the event and the land use map of Iran. 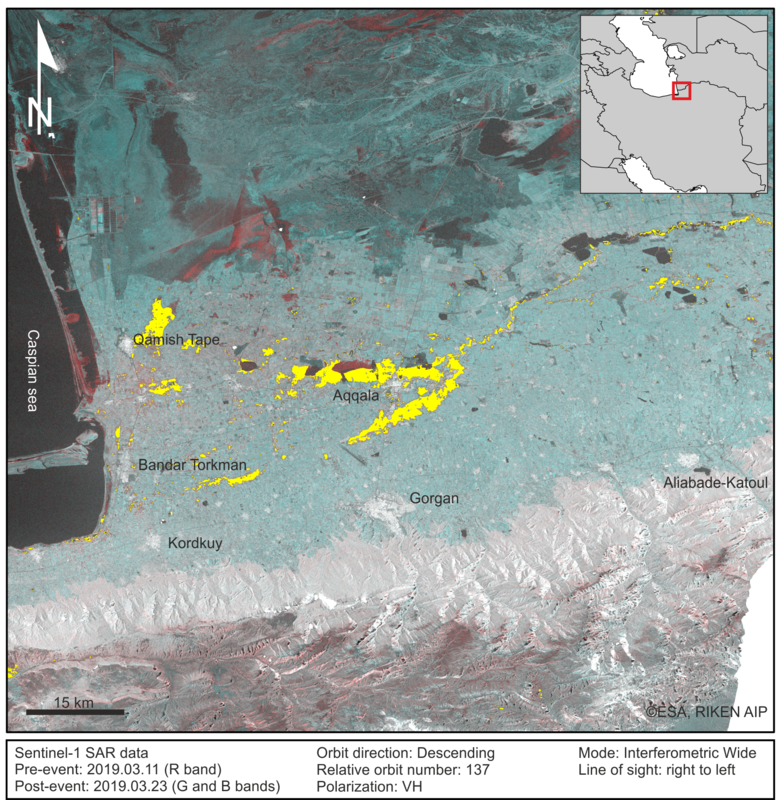 Figure 1 shows the RGB color map and the inundated areas (yellowish areas) in the northern part of Iran. In Figure 2, RGB InSAR coherence map shows the urban changes in the northern part of Iran (especially Aqqala town) using multitemporal InSAR analysis. A normalized difference in InSAR coherence (pre-event - post-event) is considered in red band to reflect building changes as "forward change" and a normalized difference in InSAR coherence (post-event - pre-event) in green band might reflect some characteristics of vegetation growth or post-event human changes (reverse change). The average value of two InSAR coherence products in blue band means "no change". Urban areas were illuminated by Global Urban Footprint (GUF). Figure 1. The RGB color map and the inundated areas (yellowish areas) in the northern part of Iran. Figure 2. RGB InSAR coherence map shows the urban changes in the northern part of Iran (especially Aqqala town) using multitemporal InSAR analysis.